This is not your average applesauce. Whiskey Spiked Apple and Pear Puree is a boozy twist on the classic potato latke accompaniment and just the thing you need for your Chanukah gatherings. See? I told you you’d be in for a treat today. This Whiskey Spiked Apple and Pear Puree was intended to be applesauce, but I may have added a little too much whiskey to the Crockpot, making it more watery than I wanted. At first I was scrambling, trying to find ways to thicken it up — flour? corn starch? No, I wanted this to be pure apples and pears. I didn’t want the glorious flavors of the fruit, whiskey, cinnamon and cardamom to be masked by anything else. So instead of trying to fix something, I embraced my mistake and rolled with it. Out came the immersion blender and I pureed away! My homemade Potato Latkes were silver dollar-sized, making them the perfect vehicle for dipping. People are either Team Sour Cream or Team Applesauce when it comes to eating latkes — I have always been Team Applesauce. But now I think I’m Team Whiskey Spiked Apple and Pear Puree! 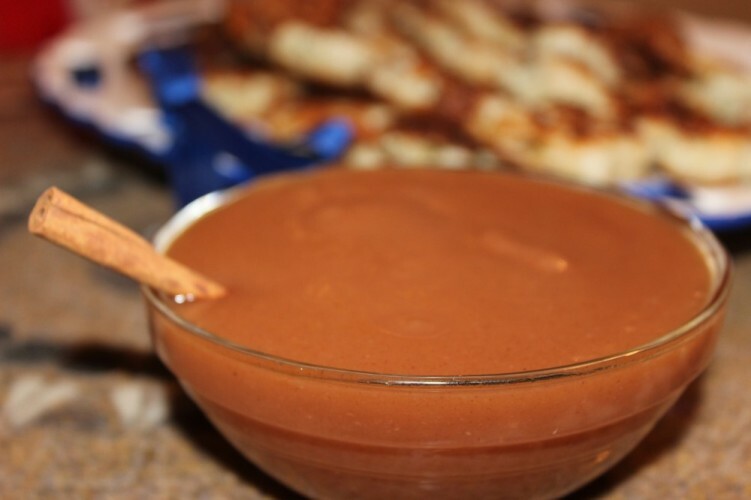 You can drizzle it on top of your latkes, smear it on the plate underneath your latkes or pick up your latkes and sink them right into this smooth and delicious puree. 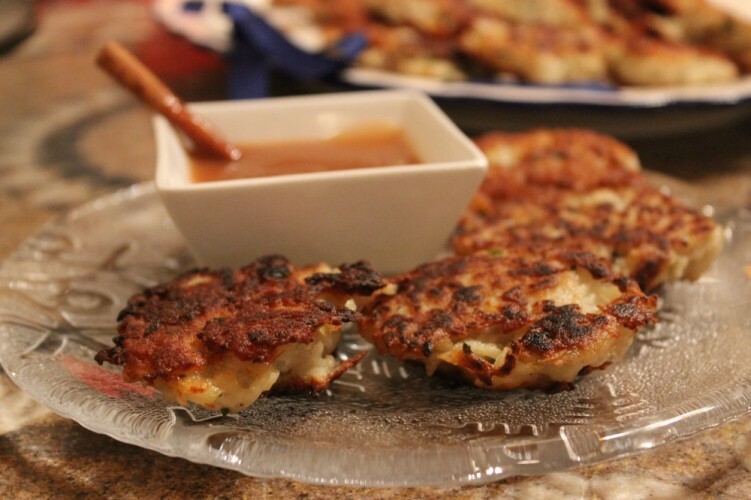 Potato latkes feel fancy when they’re eaten with Whiskey Spiked Apple and Pear Puree! Not that latkes aren’t fancy already. 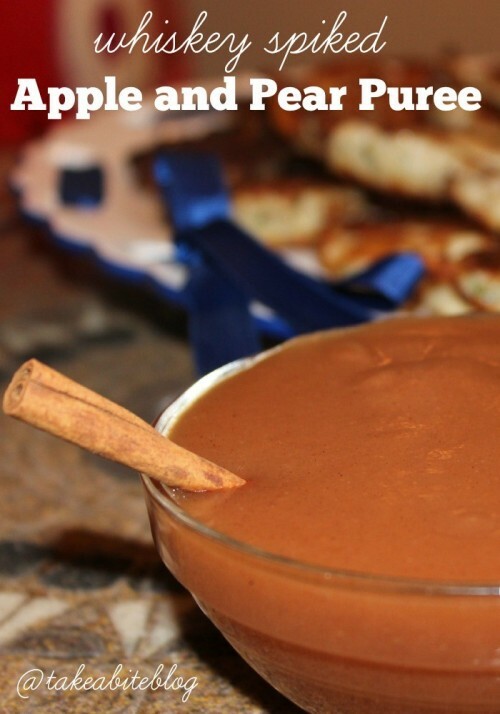 But this Whiskey Spiked Apple and Pear Puree does not have to be limited to the holiday season. No way! You can make this any time of year and eat it with anything you’d like! Although I’m not a meat eater, I bet this would make a fantastic accompaniment to chicken or pork chops or really any kind of meat. What do you think? Add all ingredients to your slow cooker and cook on low for 5-6 hours. Use an immersion blender to puree the mixture.